Having TMJ Related Pain? We Can Help You Today! 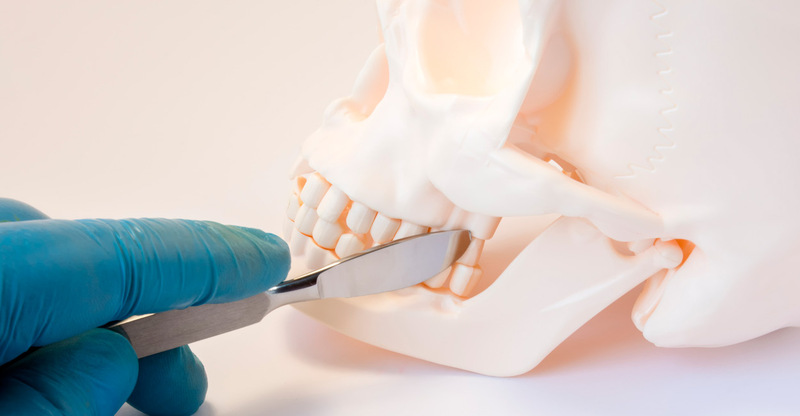 You may have heard of temporomandibular joint dysfunction, otherwise known as “TMD,” and how detrimental this jaw pain can be to one’s quality of life. TMJ is a serious symptom complex that causes significant pain in the jaw and teeth and it from functioning properly. However, dentists trained in TMD and TMJ treatment can help you find the relief you need. TMD is inextricably linked to the TMJ disorder, also known as the temporomandibular joint. This is the joint that connects your jawbone to your skull. When someone is suffering from TMD, they are experiencing jaw pain and is dysfunctional around the TMJ and the surrounding area. If you suffer from TMD or TMJ-related issues, you are not alone. In fact, between 20 and 40 percent of the general adult population is affected by TMJ pain to some extent. This makes TMD a serious medical issue that deserves the full attention of dentists the world over. Today, more and more dentists are being trained to diagnose and treat TMJ-related disorders. Now more than ever it is easy to find dentists and dental health professionals who can provide relief for those suffering from TMJ disorders. In this guide, we go over what the TMJ disorder is, what TMJ-related disorders such as TMD entail, and where to find a TMJ dentist near you. The temporomandibular joints (TMJ) are located between the temporal bone of the skull and above the mandible bone or jawbone below. When you combine the various bones that the TMJ articulate with, you get the term “temporomandibular” from which the TMJ derives its name. It is served by the superficial temporal artery and the auriculotemporal nerve and masseteric nerve. There are several components to the TMJ. These include the joint capsule, the articular disc, the articular surface of the temporal bone, the lateral pterygoid muscle, and numerous ligaments. These tissues are dense and are protected by a synovial membrane that lines the bones and joint capsules. If any of the components of the TMJ symptoms is the area being irritated, injured, or inflamed, TMD or TMJ-related chronic illnesses can ensue. If left untreated, they can cause serious long-term problems in one’s life. That is why we always recommend seeking immediate treatment if you are experiencing distress or discomfort with the TMJ area. TMJ pain can be caused by several issues left untreated. If you experience any of the following, consider speaking with your dentist about whether you should seek TMJ treatment. The most prevalent cause of TMJ pain is myofascial pain dysfunction syndrome. This illness implicates the muscles of mastication, which line the entire jaw. In extreme cases, this can prevent patients from being able to chew their food, which itself encompasses a range of safety hazards and risks. On rare occasions, tumor growth can also cause TMJ pain. If you are at risk for cancer, especially chondrosarcoma or osteosarcoma, make sure you have your physician inspect the area. TMJ dentists alone are not fully equipped to deal with health issues such as these. If you live in the United States, you should be able to find a TMJ dentist with relative ease. All across the US, there are dentists specifically trained to deal with TMD and TMJ-related disorders and ailments. 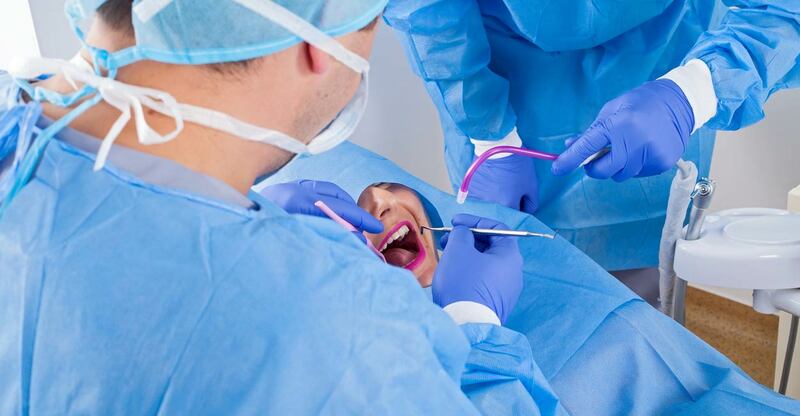 Even if you have no dental insurance, there are many clinics that are able to perform operations and surgeries to provide you with immediate relief. To find a TMJ dentist nearest you, visit the Emergency Dentists database. Their extensive network of clinics stretches across all corners of the US. Simply enter your city name in the search bar provided on the website to find a clinic in your general area. Sometimes, we can’t afford to wait to see a dentist. In dire situations, we need to seek urgent dental care. On occasions such as these, you need to visit an emergency TMJ dentist to get the care you need. If you need an emergency TMJ dentist, call the Emergency Dentists toll free hotline at 1 (877) 507-0879 to speak to a care representative right away. If you live in New York, you should be able to find a TMJ dentist without much hassle. From Brooklyn to Buffalo, there are plenty of dental clinics with trained TMJ specialists on hand to treat your chronic or acute TMJ-related pain. To find the New York TMJ dental clinic nearest you, visit the New York Emergency Dentist database here. TMJ dentists are not hard to find in California. From Fresno to San Diego and everywhere in between, there are countless TMJ dentists on hand to help you get the relief you need. To find a TMJ dentist in your area, visit the California Emergency Dentist database here. Georgia has a long list of qualified TMJ dentists to help you relieve your TMJ pain. Some of the finest TMJ dental clinics are in Atlanta, Savannah, Roswell, Athens, and Columbus. If you want to find a Georgia TMJ dental clinic, we suggest visiting the Georgia Emergency Dentist database. While Florida is known for its sunny beaches and gorgeous weather, it also has a reputation for being home to some of the best TMJ dental clinics in the country. If you live in Florida and want to find a qualified TMJ dental clinic, we recommend visiting the Florida Emergency Dentist database to find a clinic near you. From Columbus to Akron, there are many TMJ dental clinics in the state of Ohio. To find a clinic near you, visit the Ohio Emergency Dentist database. The Commonwealth of Pennsylvania is home to some of the finest TMJ dental clinics in the mid-Atlantic United States. From Philadelphia to Pittsburgh and everywhere else in-between, you are sure to find leading TMJ dentists everywhere across the state. To find the TMJ dental clinic nearest you, visit the Pennsylvania Emergency Dentist database today.